Lunar rhythms show you how to be in flow with Mother Nature to grow and create in all areas of life. 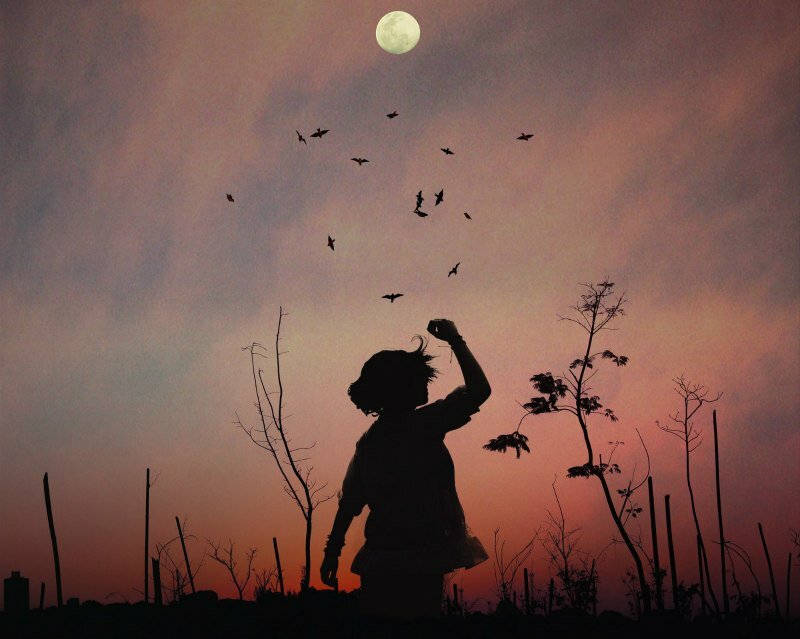 Moon Gardening, also known as Lunar Gardening, shows us that life and growth have a rhythm and we can look to the Moon to see this natural flow of life. The ancients used the rhythm of phases and Moon signs to work in harmony with the land and animals, with their health, and for ceremonies and rituals. They had no artificial street lights to block out the night sky and knew the cycle of the Moon and the stars intimately. They had time to watch, study and be aware. You can use this knowledge for your gardens and farms, for herbal remedies, and to help create a life of harmony. Living with the Moons rhythm you can find the specific days each month which are perfect to plant and sow, to initiate and begin, days to prune to increase growth, days to harvest herbs for remedies, days to build better outcomes, days to prune to retard growth and limit outcomes, days to analyse and build, days to weed and harvest for storage, and days to gather goodwill and reap rewards. Using this you can pick the best time for a myriad of activities. Along with New Moons and Full Moons there are only 4 things to remember… waxing, waning and fertile or barren. The waxing phase is when the Moon is increasing in visible light. Waning is when it is decreasing in visible light. To easily find which is which… look at the Moon. Here in the southern hemisphere, if the Moons round curve is to the left, then it’s a waxing Moon and if the round curve is to the right then it’s a waning Moon. As the Moon passes in front of the zodiac, some of the zodiac signs behind are 1st best fertile, some are 2nd best fertile (semi-fertile) and some are barren. The Moon is in each sign for approximately 2 (and a bit) days. Please note that these are the signs the Moon is in… they are Moon Signs, not Sun Signs. The lunar month starts at a New Moon which can be either fertile or barren. Then the Moon enters either a waxing fertile or a waxing barren signs till the Full Moon, which can be either fertile or barren. After the Full Moon, the Moon is either waning fertile or waning barren until it returns back to the New Moon again. Remember that there are only 4 things to ask… is the Moon waxing or waning, and is it fertile or barren? There are many people who are naturally in harmony with the rhythm of Mother Nature, but the rest of us need a system and the idea of Fertile and Barren Moons has been used since humankind put pen to paper; and possibly before that! We have evidence as early texts made a point of saying when the Moon fertile (they called it fruitful) or barren. 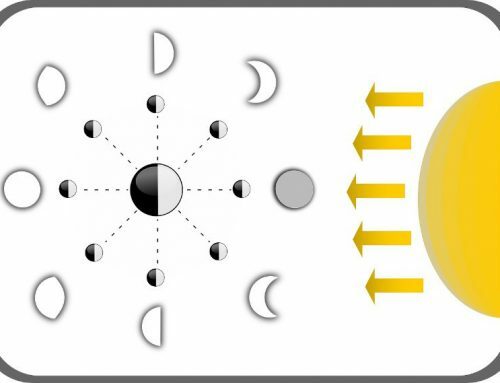 There is another method of Moon Gardening called the Steiner Biodynamic system. 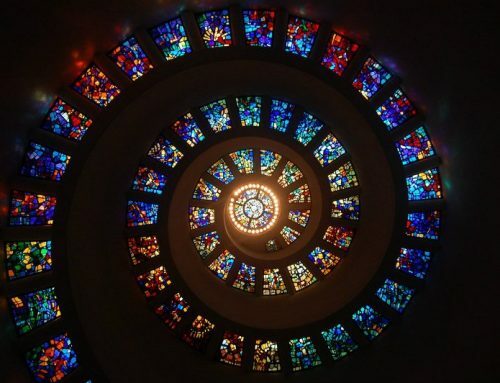 It was developed in the 1930’s by Rudolph Steiner who devised a model using the fire, earth, air and water signs. I used to garden this way…. but after experimentation, I much prefer the ancient fertile and barren method. 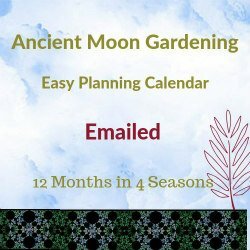 People kept asking for an easy calendar and so I published the Ancient Moon Gardening Easy Planning Calendar. When the Moon is New, it is a “rest day”. Plants, or projects will bolt so quickly to fruition that growth is weak and unsustainable and the work will have feeble outcomes. When the Moon is waxing and in a fertile sign; plant, sow, re-pot, transplant, graft, spray, prune for growth and feed. Start all projects, begin adjust, create, grow, request, initiate and construct in life. When the Moon is waxing and in a barren sign; it’s time to concentrate on maintenance and cleaning where you will be surprised how easy big cleaning or mending tasks can become! In life you can organise, file, undertake admin easily, research, track trends and even do the housework! It does happen easily and efficiently! A Full Moon is another “rest” time as planting crops, projects or business plans very easily lead to distorted and twisted outcomes… and we don’t want that! When the Moon is waning and in a fertile sign; it’s time to plant root crops and prune to retard growth. This is also perfect for haircuts, colours, shaving or waxing hair. In life it is ideal to remove what is no longer needed or wanted, or to create delays which can be useful! When the Moon is waning and in a barren sign, it’s time to harvest your crops because loss through mould and mildew will be reduced. It’s also ideal for cutting timber that will not warp. In life and business, we do tasks that need to be stored or held without loss. In the last days of the waning barren Moon, it is a time to undertake weeding and dehorning or castrating stock. We can remove anything that we do not want to come back. Ancient herbalists used the Moons position to find the best times to gather specific herbs for specific diseases. 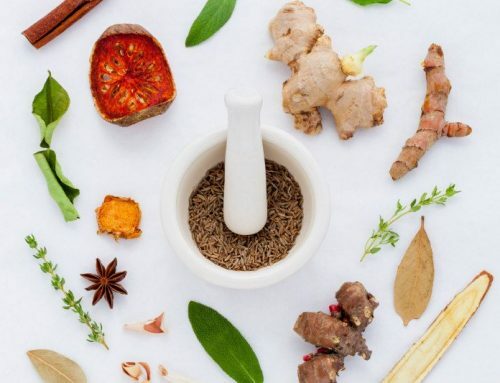 They also used the aspects or connections between the Moon and other planets to enhance the effectiveness of herbal preparations. This includes using planetary days and hours. Animals are affected by worms, parasites, ticks and fleas and the farmers have long known that starting treatment 2 days before a Full Moon until 2 days after the Full Moon really helps. This would also work for treating ticks and fleas in our pets. Traditional farmers slaughter meat around the Full Moon, especially when it’s in a fertile sign. They believe it ensures tender and tasty meat. We can also use the cycles and positions of the Moon for best fishing times. When the Moon is increasing in size (waxing) in a 1st best fertile sign it is the easiest time of the month to catch fish. In regards to fishing, just like gardening, you also have to consider the species you are seeking, the season, the weather, as well as active times at dawn and dusk. To work with the natural flow of the Moon is to work with the rhythm of Mother Nature. The result is a greater sense of harmony with the earth, and an increase in the ease of life. You are also saving time, energy and money whilst being rewarded with great abundance and beauty. 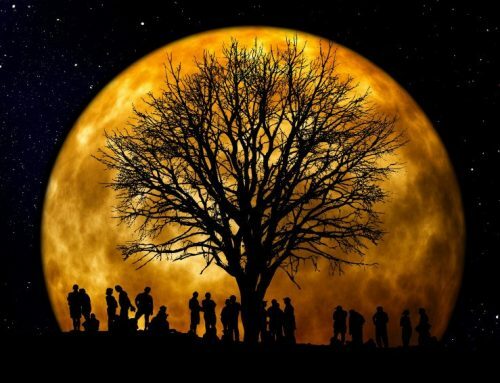 I live in gratitude to the Moon for deepening my understanding of the rhythm and flow of Mother Nature and her gifts. when the Moon is in conjunction with the Sun.